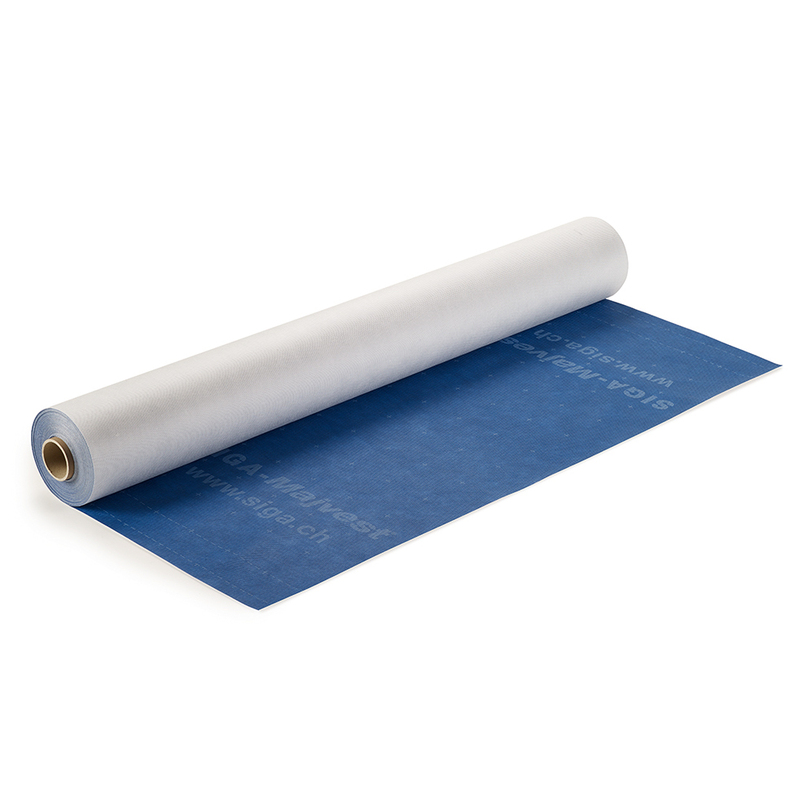 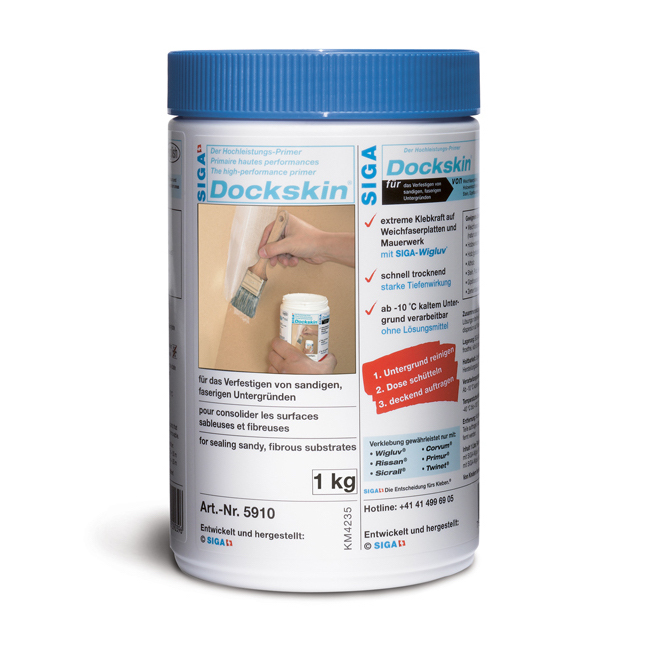 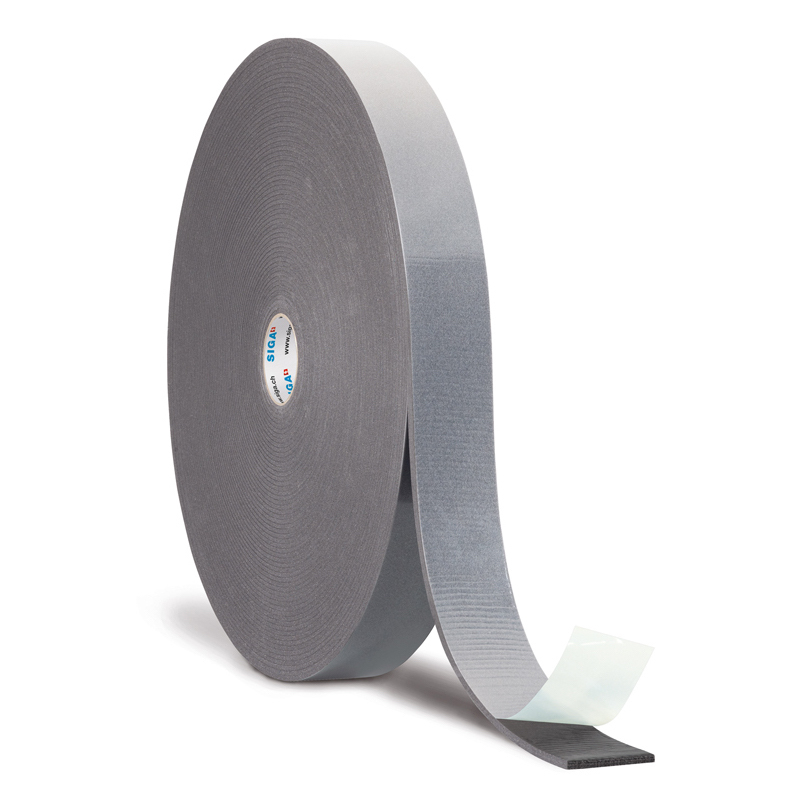 The high-performance primer Dockskin is the perfect solution for strengthening sandy, fibrous substrates, such as wood fiber boards, wood-based panel materials, gypsum fiber boards, plaster and stone. 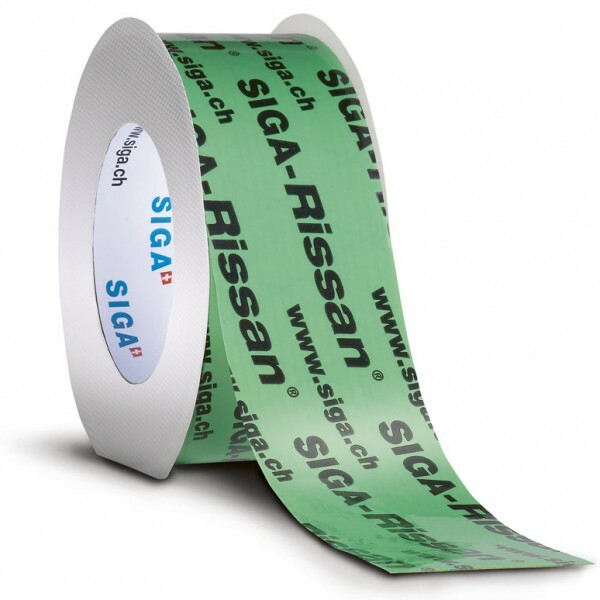 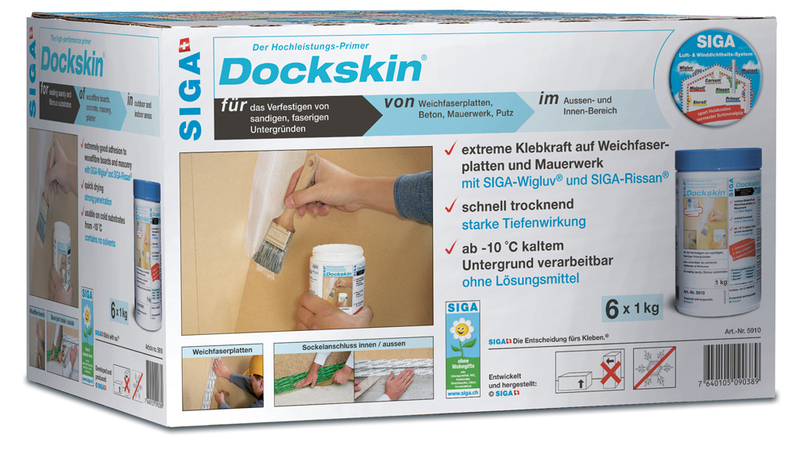 The SIGA products Wigluv, Rissan, Sicrall, Corvum, Primur and Twinet can be perfectly combined with Dockskin. 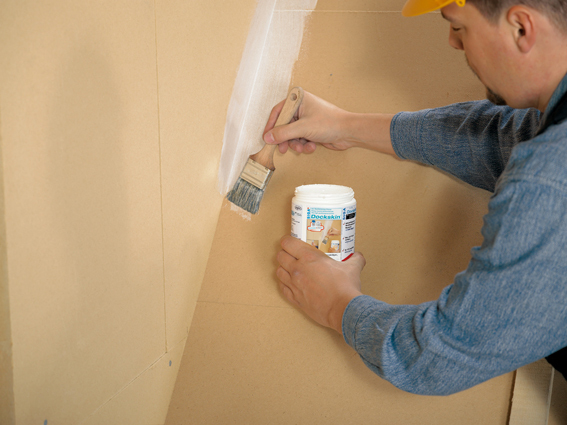 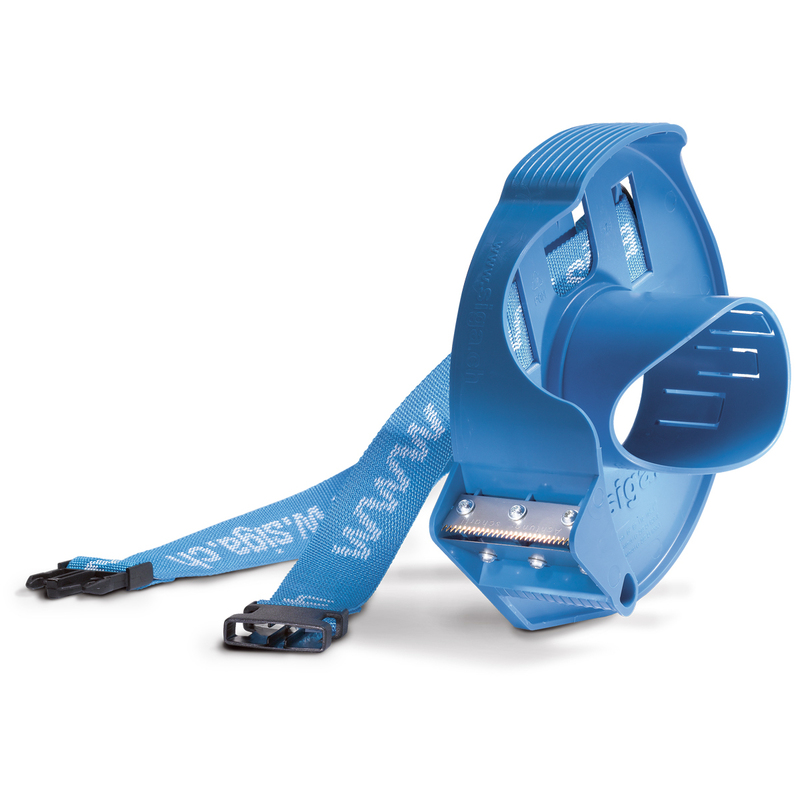 They enable easy, quick and reliable creation of base joints.